In an effort to fend off competition from perennial foe Amazon, Walmart is raising its online prices in the hopes of luring you into its physical stores for better deals. The big-box retailer, which has replicated recent Amazon services with smart lock-enabled home delivery and self-service kiosks, has subtly raised prices on a variety of consumer goods including dog food, toothbrushes, and Kraft Macaroni & Cheese, the Wall Street Journal reported on Wednesday. 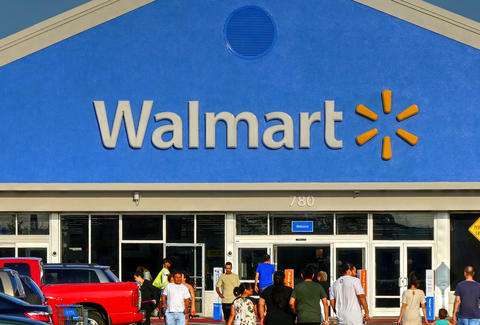 The campaign isn't being waged in secrecy, as Walmart is highlighting the price mark-ups on its website, with any differences noted in the product listing. The discrepancies will be shown with "in-store" and "online" price tags, although the majority of items listed online haven't been subjected to price hikes. Walmart is grappling with the cost of shipping for more expensive items. Supplying online orders has become something of a losing game in respect to competing with Amazon, which maintains legions of fulfillment centers and employees across the country. To guard itself from Jeff Bezos' sprawling digital retail empire, which acquired Whole Foods in a blockbuster acquisition in June, Walmart hopes to reduce its shipping costs and to increase in-store revenue. The cost of shipping some Walmart items vastly outweighs their online retail prices, according to the paper. Even with the financial threat from Amazon, the move to tinker with online prices makes further sense in light of the impending holiday shopping madness of Black Friday and Cyber Monday. Amazon has already unveiled an impressive slate of discounted goods for the Black Friday extravaganza, opening up its store for the post-Thanksgiving sales blitz over a week prior to the actual event. With Walmart clearly on the defensive here, its online price-hikes aren't likely to curry favor with consumers, or adhere very closely its slogan of "always low prices."